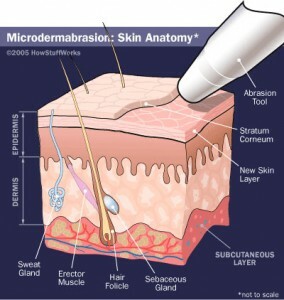 Do you know what microdermabrasion is? It’s a general term, used to describe an application where tiny, roughish grains are used to buff the top layer of surface skin away. There are other different treatments using this method as well, which does include certain medical procedures, treatments you can find at salons, and creams that you can apply yourself at your home. Microdermabrasion is traditionally done on the face, neck, chest, hands, and arms. There have been evolutions in microdermabrasion, and Laguna Laser is happy to offer the latest, most up to date technology available to our customers. Men and women alike can benefit from our microdermabrasion treatments which leave the skin feeling supple and vibrant with a non-invasive, pain free treatment. Laguna Laser Hair and Tattoo Removal proudly serves the residents of Gilbert, Arizona. Call (480) 292-9677 for information. We’d love to hear from you!